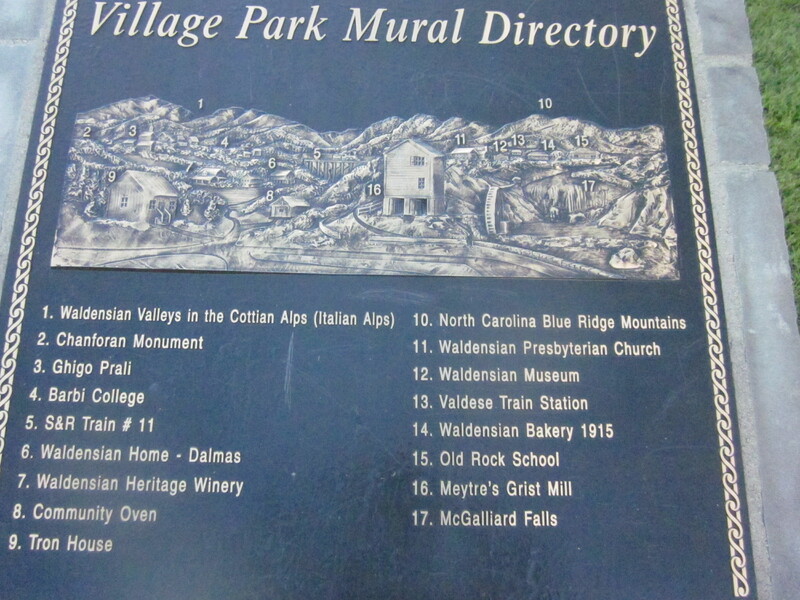 Valdese, North Carolina is a great place to visit. You can find great food and great music there (click here to read more about the food and music) but you really need to know about the people who made the town what it is today. And the Village Park Mural is the place to do that. 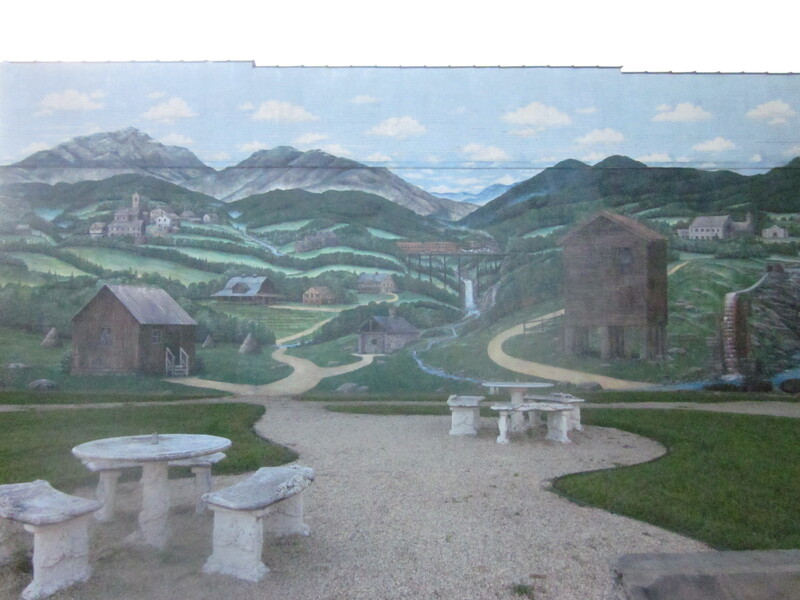 This is a photo of the amazing mural in Village Park in downtown Valdese. The mural is amazing, but check out the reference plaque below to see what represents what on the mural. The plaque shows just how intricate the mural is. This truly is worth a thousand words. Valdese is an amazing place with an amazing history. Even if you plan on visiting soon, its worth learning about. So click here to visit the town’s website and read a synopsis of their history. They also have a link to even more information.